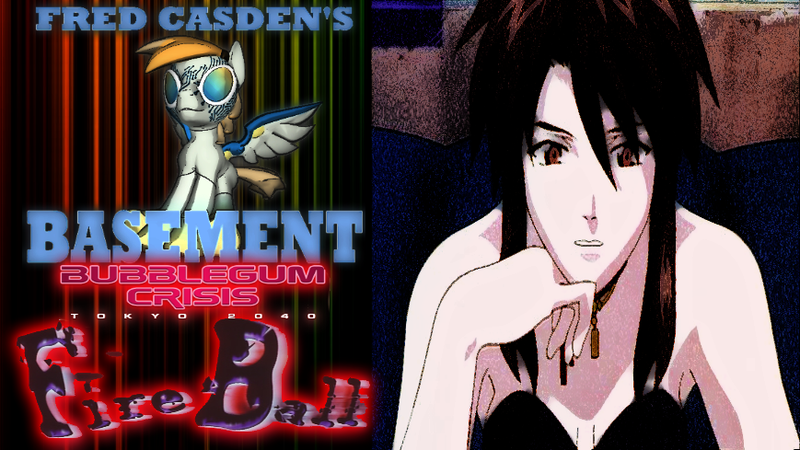 It's Friday September 15, 2017... time to talk anime as I go over Fireball, which is episode 8 of Bubblegum Crisis: Tokyo 2040. Leon pursues Priss when she starts speeding on her bike, going well over 220 KPH, and only catches up when she stops at a spot overlooking the city. Daley busts Leon's chops over his charm being ineffective on Priss. When he asks why she hates the AD Police, Priss says it's because guys like him don't realize they are basically pawns. Nene invites Priss over for a sleep over because Linaa wants to see her. Nene's apartment is a total stye. Priss tells them if they want to see her come to the club she's at... and Linaa wonders if Priss 'has a boyfriend or is into girls'. Nigel calls Mackey the best assistant he ever had and appears to be mentoring him. Mackey is late for dinner with Sylia and she questions him about what Nigel is working on, getting details on the Motorcyle that it's very powerful and specialized and he figures the bike is for Priss, which really ticks off Sylia. Mackey's catches on this, and is gonna stay with Nigel because Sylia is not how she was before. Highway Boomer (rogue boomer fused with a street racer) is the monster of the episode, super fast so the AD Police have to pursue it. Sylia is driving recklessly to catch up because of it's speed. Because the attack is when Priss is performing only Linaa and Nene respond to the call, which sees both getting railroaded because of the mass. Nigel's bike is called the MotorSlade, and that is where Priss heads to. The bike isn't road test it, but its 3-times as tough as a hardsuit and it interfaces with Priss's hardsuit so she can adjust it on the fly. Pricess proceeds to ram the bike into the Boomer but it doesn't quite work and we see her adjusting the bike's frame, launching it into the air causing the Boomer to pretty much go 'Oh wow' before Pirss punches its core heart out. Episode ends with Priss singing alone in an empty club on an stage, with Priss, Mackey and Linaa applauding, and Leon also watching.